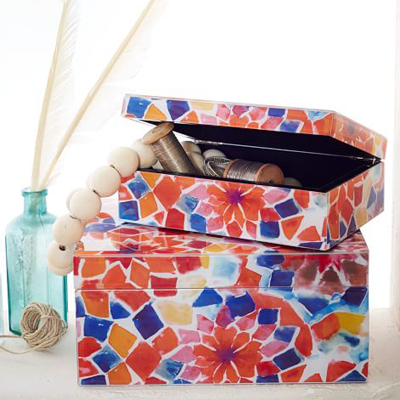 Based on an original pattern by designer Sarah Campbell, this Floral Jewelry Box features a brightly colored, geometric interpretation of blooms. Filled with rings, bracelets, cufflinks and other treasures, it makes a graphic statement on dressers, desks and bookshelves. $49-$79 Sale $39-$63. Buy here.